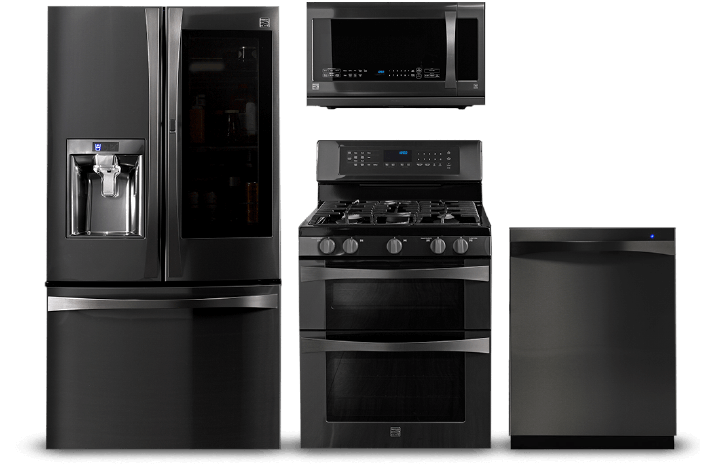 Kenmore Elite® delivers the sleek design and unique finish of Black Stainless Steel appliances that bring standout style to any kitchen and décor. And, thanks to its fingerprint resistance, it stays beautiful even when dinner guests and family can’t keep their hands off it. 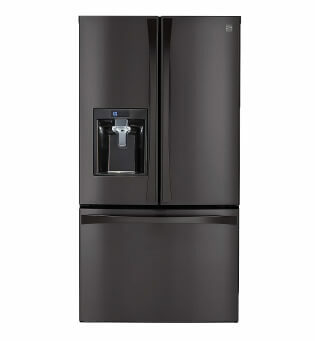 Our Black Stainless Steel finish is available in a complete kitchen suite. Get amazing style in every corner of your kitchen with appliances delivering performance that’s as innovative as their looks. Stunning on the outside. Fresh on the inside. 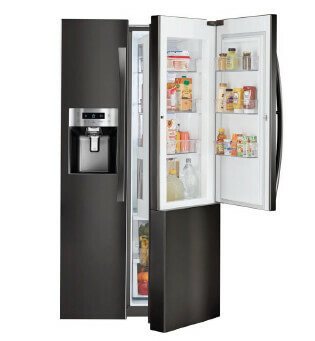 Our Black Stainless Steel refrigerators are designed to help maintain the right moisture levels to keep fresh and frozen foods at their finest. Just tap it, and the sleek, tinted glass window provides a clear view of what’s inside without opening the door to help keep in the cold. Keep food at peak freshness with separate cooling systems that maintain the ideal humidity level for fresh and frozen foods. A unique 360-degree seal goes all the way around the drawer to lock in moisture, helping vegetables stay fresh longer. 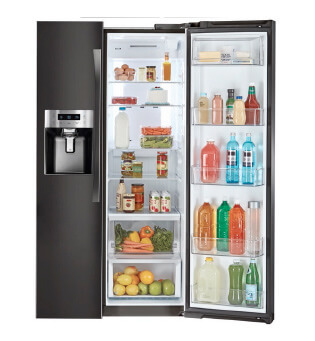 Adjustable shelves and tiered freezer storage help keep food organized and easy to access. 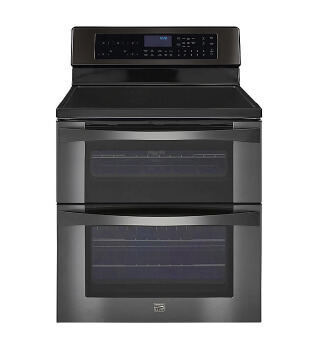 Our Black Stainless Steel double-oven ranges can handle dinner and dessert while impressing guests with their jaw-dropping style. 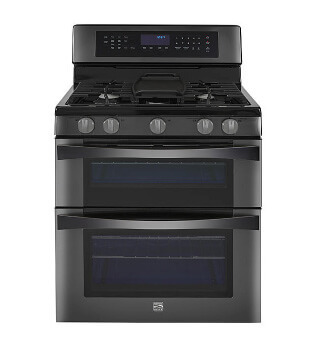 A fan convection system in the gas range and True Convection in the electric range deliver precise cooking. This powerful 3,200-watt element has the flexibility to boil water faster, sear meats more evenly and simmer sauces neatly. Boils water in a matter of minutes with an impressive 17,000 BTU. Cleans your oven in 20 minutes without harsh chemicals or high heat. 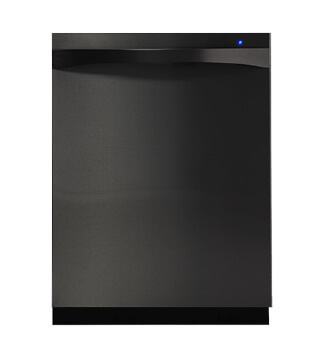 Offering generous rack space with an easily removable extra rack and packing plenty of power, this Black Stainless Steel dishwasher lets you load every last dish and leaves each one sparkling clean. 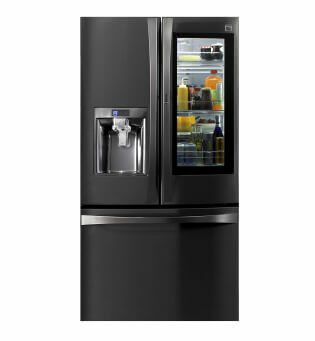 A 44 dBA motor and an advanced filtration system give your home some peace and quiet when the dishwasher is running. Frees up space on the lower racks for additional loading options. 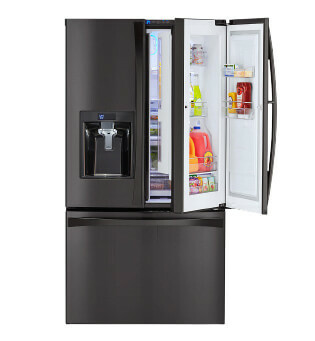 Conveniently moves to accommodate taller, bulkier items like pots or storage containers with ease. Moves water in five directions for full-coverage cleaning and improved results. 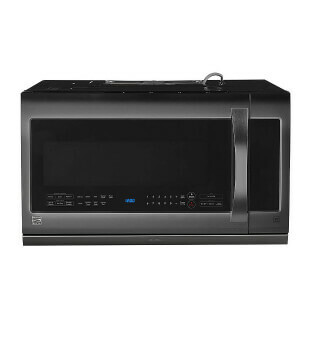 This Black Stainless Steel over-the-range microwave is always ready to clear the air, reheat last night’s leftovers or thaw out tonight’s dinner — and looks good doing it. Keeps your cooktop area clear of smoke and odors with powerful ventilation. A customized coating prevents splashes and splatters from sticking for quick and easy cleaning. Easily manages larger containers and dishes, while a removable rack adds a bit of space for even bigger items. Heats food quickly and evenly for improved results when cooking, defrosting or reheating.